SNCF has announced that Paris Gare du Nord – Europe’s busiest railway station – is to triple in size by 2024. The ambitious project is planned ahead of Paris hosting the Summer Olympics, when the station will be able to accommodate an extra 100,000 passengers per day. SNCF president Guillaume Pepy said the project has been “long-awaited” and that the new station will, in many ways, resemble London St Pancras station. 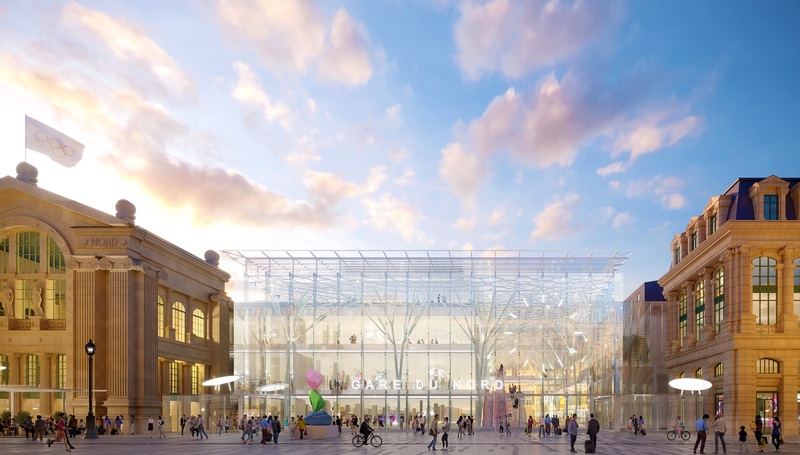 Following the transformation, the station will feature a “massive” new departure hall, an extended Eurostar terminal, major accessibility improvements and a new station front on Rue du Faubourg-Saint-Denis street. Public floor space will also be increased from 15,000m2 to more than 37,000m2 to help with passenger flow. In addition, the bus station will be redesigned, more bicycling parking added and the traffic flow around the station improved. As part of the project, a new area on the roof of the station will be dedicated to sports, including a basketball court and a golf course. 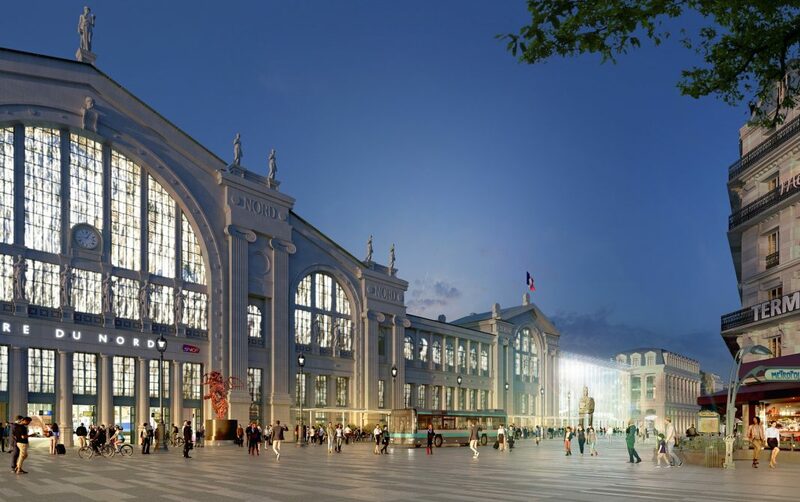 The new Gare du Nord will set “environmentally-friendly standards” with public green spaces and ecological energy production, according to SNCF. The station is currently used by 700,000 passengers per day but this number is expected to increase to 900,000 by 2030 thanks to growth of long distance passenger services to the North of France as well as Eurostar services, the extension of the RER E line to the west of Paris and the opening of the Charles De Gaulle Express line. SNCF made the announcement following negotiations between SNCF Mobilités and developer CEETRUS (formerly Immochan) to support SNCF Gares & Connexions in its transformation of Paris Gare du Nord station. 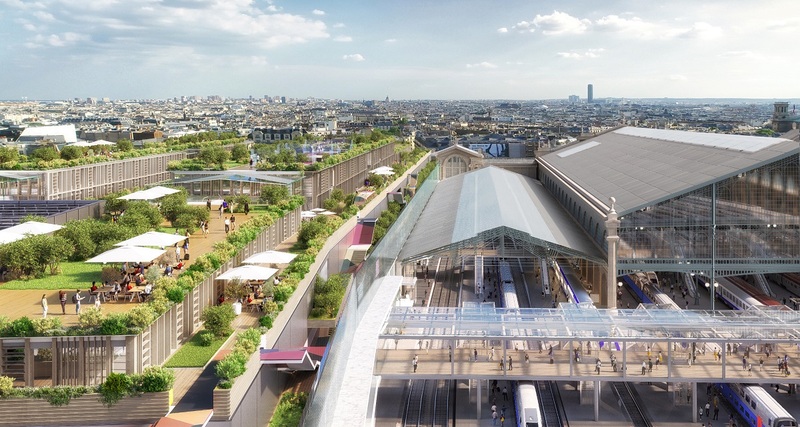 SNCF Gares & Connexions CEO Patrick Ropert said: “Each time we transform a train station in Paris, we transform part of a Parisian neighbourhood. “Paris Gare du Nord will become the symbolic station of the 21st century, by ensuring the availability of the maximum number of services, adapted to the needs of our society. Talks to carry out extension work at the station for a period of up to 46 years are expected to be concluded by the end of 2018. A joint company will also be created by the two parties, which will be 66 per cent owned by CEETRUS and 34 per cent owned by SNCF Gares & Connexions.